Initially, I wanted to make a post on amber teething necklaces for children. And then, when I was looking for a good article, I discovered that there were a lot of skeptics who don’t miss an opportunity to make fun of amber. So I decided to make a general post about healing properties of amber. If you are into natural treatments and not so much into medications, then you might find it interesting. I bought necklaces for my kids and myself on Etsy.com from sellers in Lithuania. If you are buying locally, try to make sure these are actually amber and not some knock-off glass or plastic. Not going to claim anything, but from our experience, my son hardly ever complains of any teething symptoms. He wears his since before he even started getting teeth. My daughter only got hers when she already had her teeth, and with her we had to go through too many sleepless nights when she was teething. We all wear it because amber does much more than just relieve teething pain. If nothing else, amber jewelry looks extremely good and s all natural and sustainable. 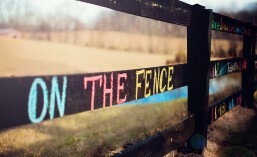 What’s there not to love? “The actions of adaptogens, those mysteriously potent herbs and substances that have little understood, but nevertheless remarkable effects on the whole body/mind/spirit, continue to hold my attention, stir my imagination and inspire my creativity in the best of ways. We’ll define adaptogens here as those natural substances that help the body adapt to stress and recall that in order to meet the criteria as defined by the word adaptogen, a substance must be non-toxic, produce a nonspecific response in the body which boosts the ability to resist multiple stressors, and exert a normalizing influence on physiology. By definition, adaptogens strengthen the immune, nervous and glandular system, increase metabolic efficiency and reduce susceptibility to illness and disease. Baltic amber is such a substance. In my experience natural Baltic amber is one of the most indispensible, as well as perhaps the most universally applicable, of the known adaptogens. Health Benefits: Baltic amber is considered the very finest and most therapeutic amber in the world. It is renowned for its pain easing, rejuvenating and vitality boosting effects as well as its ability to help protect against illness. It is an exceedingly well researched adaptogen, most notably among Russian, Polish and German scientists, and has long been referred to as an Elixir of Youth. When worn on the body Baltic amber warms against the skin, releasing its therapeutic properties safely and naturally. Baltic amber is used to clear the chakras, to fill the body with vitality, alleviate stress, and is believed to help draw disease out of the body and encourage healing. Baltic amber is a natural analgesic agent and possesses anti-inflammatory properties, so is often used to ease joint pain. It also acts as a natural antibiotic and as we’ve seen, has an ages-old history of use in preventing and treating disease and healing wounds. 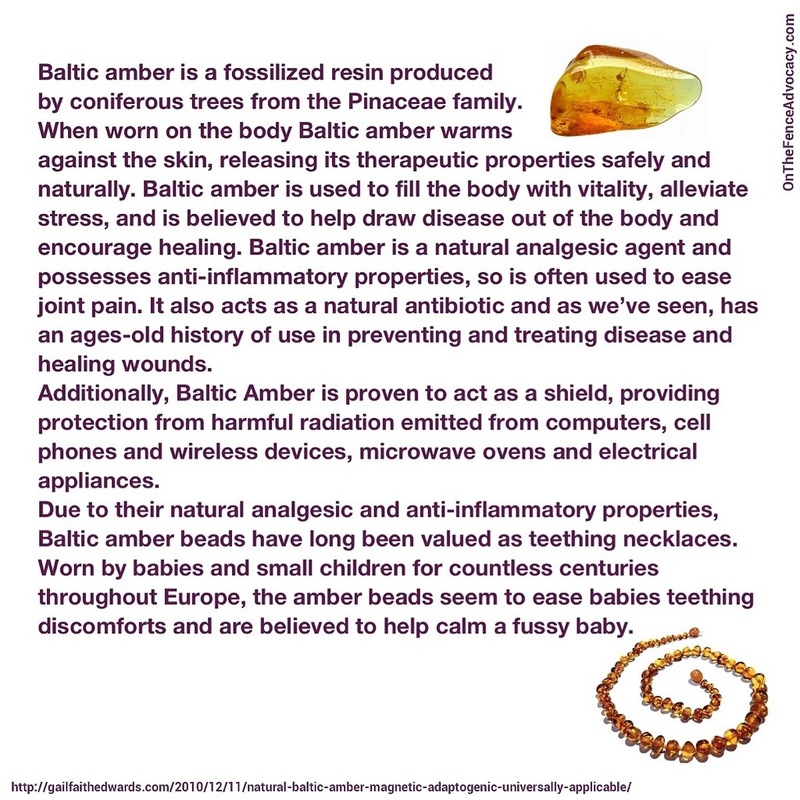 Baltic amber’s considerable electrostatic properties are an essential part of its health boosting abilities. This substance has long been respected as a natural ionizer; it possesses the ability to produce negative ions, known to help to ease pain, boost over-all immunity and stimulate the healing process. Additionally, Baltic Amber is proven to act as a shield, providing protection from harmful radiation emitted from computers, cell phones and wireless devices, microwave ovens and electrical appliances. Today 285 million Americans have mobile phones and 83 percent of 18- to 29-year-olds are “wired” all the time and sleep with their cell phones next to their heads. Succinic acid: Baltic amber has high concentrations of a unique substance known as succinic acid, and with from 3% to 8% succinic acid by weight, is one of the most important natural sources of succinic acid in the world. Wearing Baltic Amber : The highest content of succinic acid is found in the amber cortex – the external layer of the stone. It has long been believed that by wearing raw or polished natural Baltic amber against the skin, a “homeopathic dose” of succinic acid is absorbed into the body, enough to exert its analgesic, anti-inflammatory, immune enhancing and vitality boosting influence. Due to their natural analgesic and anti-inflammatory properties, Baltic amber beads have long been valued as teething necklaces. Worn by babies and small children for countless centuries throughout Europe, the amber beads seem to ease babies teething discomforts and are believed to help calm a fussy baby. The beads are simply worn around the neck and not necessarily chewed.